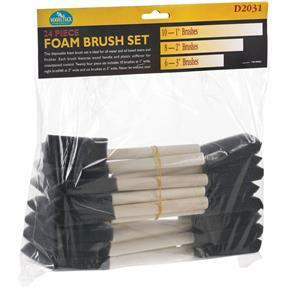 These disposable foam brushes are just what the doctor ordered for water- and oil-based paints and finishes. Made with wooden handle and a tough plastic support panel. 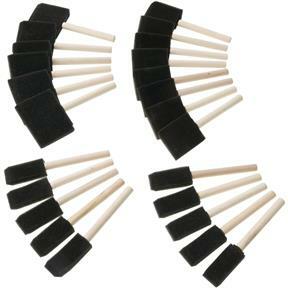 Ideal for use with stains, varnish and urethane finishes. Includes ten 1", eight 2" and six 3" sizes. A steal at this price!